Get ready for SSMT 2015! SSMT is only hosted every other year, that’s why I am so excited this is one of those other years! I have participated in SSMT twice (over the last 4 years). I can speak from experience that intentionally memorizing scripture over the course of an entire year has had a HUGE impact on my spiritual life. God’s Word is truly alive and active! It will never return void. You will not regret one second you spend in scripture memorization – I promise! I want to encourage you to join me in participating in SSMT 2015 – memorizing 24 verses of you choice over the course of the 12 months of 2015. Will you commit to joining me? If so, let me know in the comments. Below is a brief summary of what SSMT is and how to participate. For full details, read Siesta Scripture Memory Team 2015 Instructions and Spiral Information. So what exactly is SSMT? SSMT stands for Siesta Scripture Memory Team, but why Siesta? “Siesta” is just an endearment for “Sister.” I tried to say, “I’ll tell you what we are: We’re sistahs!” but spell-check switched it to “siestas.” It stuck and that’s been us ever since. 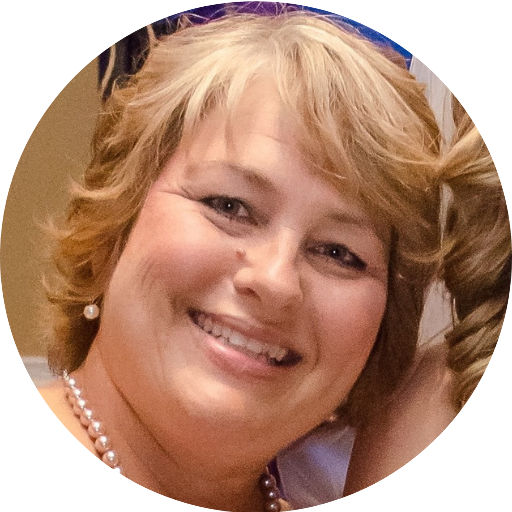 If you are new to the LPM blog, you can find it by clicking here. 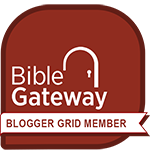 To receive each new blog post in your email inbox, click the link for “RECEIVE FEED VIA EMAIL” and follow through entering your email, etc. as instructed. 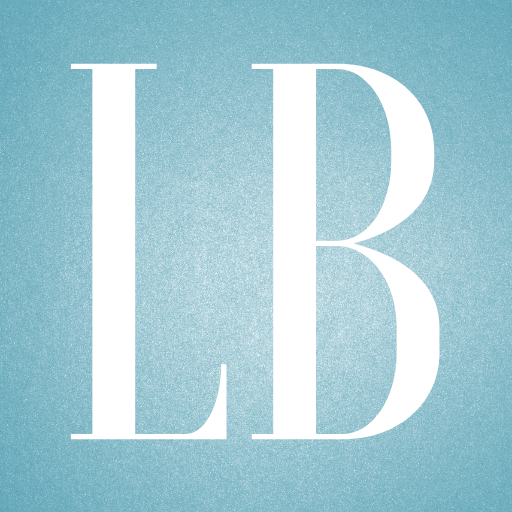 Go to the LPM Blog on the 1st and 15th every month beginning Jan. 1, 2015. By 8am, you will find a post regarding SSMT verses. Notes: Try to enter your comment within twenty-four hours of the post going up. You can be late posting, but try to avoid it. Limit comments to your name, city, verse and translation. Write the verse by hand in your spiral. This is a recommendation, not a rule. Register for the event on December 1, 2015. Watch the LPM Blog for registration details. 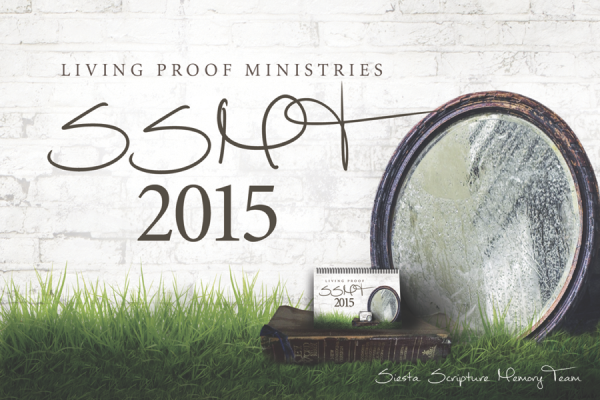 The Siesta Scripture Memory Team 2015 Celebration will on January 16, 2016 in Houston, Texas. There is no charge for the event. Your entrance fee is your spiral. To qualify to attend the celebration: *Log your comment in at least 21 out of 24 times. (Try for 24 out of 24!) *Bring your spiral to the celebration. That’s your ticket in. It can be digital (on your phone, etc) or a physical spiral. *Be prepared to say any 10 of your 24 memory verses to another Siesta during the celebration. DON’T LET THIS BE A DEAL BREAKER! It’s very informal, with a humungous dose of grace served up! Again, I simply want to encourage you in memorizing 24 verses of you choice over the course of the next 12 months. Will you commit to joining me? If so, let me know in the comments. And I will look for you in Houston in January 2016! Great JaDiene and Linda! Let me know how its going. You can also find me on Facebook. I just found out about this challenge and would like to join. Great Cindy! Sorry for the late reply. 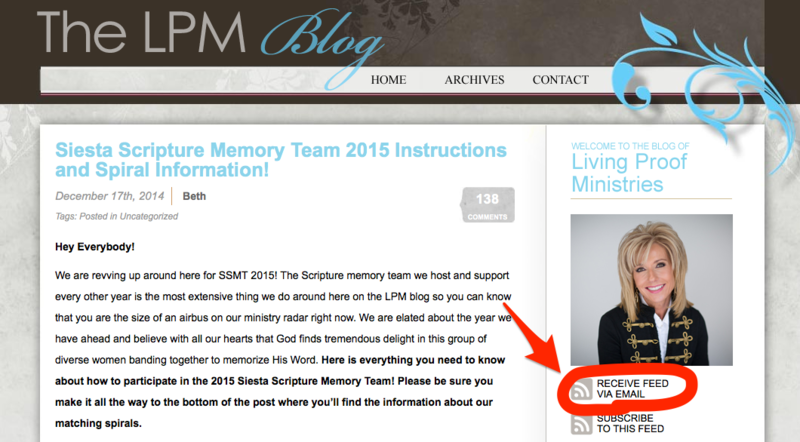 Were you able to join in on the LPM blog site? Find me on facebook!